The Stone County Locally Grown Online Market opened July 7, 2012! The Online Market, along with Stone County Farmers Market, are giving Stone County residents much more access to healthy, nutritious locally- grown foods. 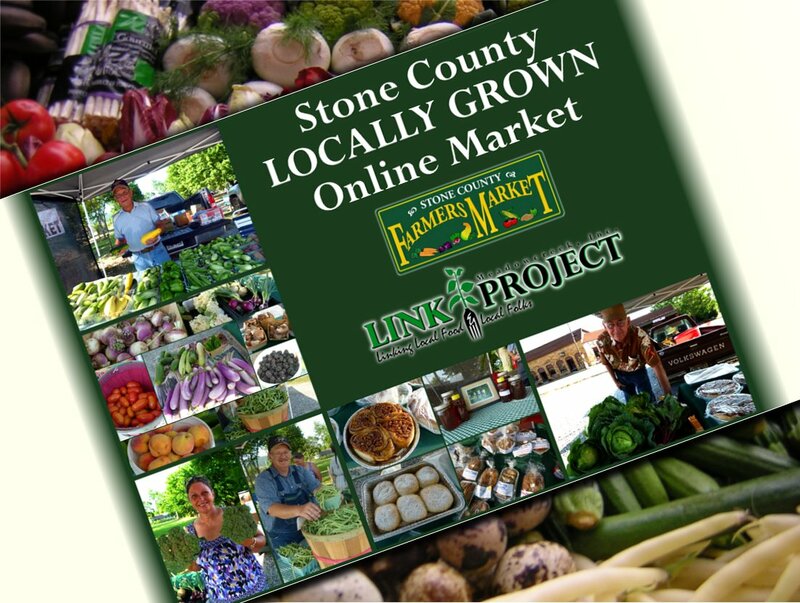 In order to stay informed about what’s being offered, go to Stone County Locally Grown and open an account. While opening an account does not obligate you to purchase a thing, it will ensure you receive a weekly reminder that the Market is open as well as provide a list of items your local growers are offering that week. Supporting our local growers is the best way to ensure we have access to healthy, locally-grown foods. So, make sure the Online Market, Stone County Farmers Market and surrounding area farmers markets are your first stop in shopping! Yes I would like some information about becoming an online vendor for your market. We’ll put you on our list to receive an invitation to an informational workshop re: participating in our online market. Hi, Dawna…I missed you at the Heirloom Crop program at Meadowcreek. I’m fervently hoping my directions were not part of why you didn’t attend. They were problematic for one couple who didn’t make it either. You’ve asked to be given updates re: our online market. This is the week I’m focusing on it. I’ll be back in touch in the next few days to update you once again as well as set up some time for you to get more info if you are interested. Dawna…we’ll be setting dates for workshops very soon and will be in touch!